Join The Family. Join The Ride. At Universal Orlando Resort™, you’ll find the Supercharged Vacation you’ve been looking for. 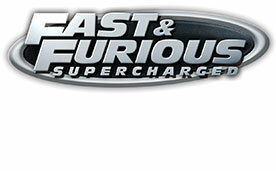 In Spring 2018 Fast & Furious – Supercharged joins the incredible lineup of rides, attractions and entertainment. Fasten your seatbelt and get ready to take your vacation to the next level.